A good look at bottled water! And a fool and their money! we do the tap water/brita bottles. Bottled water is stored for "in case" Will still use the filters. Bottled water is actually Tap water slapped in labeled bottles. I only buy bottles of water now and again so I can use the bottles lol! I always have a bottle of water with me, but I fill them up from the tap and reuse and reuse them. Our tap water here is lovely, I don't actually like the taste of bottled water much. Sparkling Mineral Water - 1.25L 75 cents ...love it!! Little plastic bottles of water... what a waste.. the bottles are one of the main lots of rubbish you seen strewn around the town. Recycle people! Ahhh great drop, used to love the stuff. But I'm no good on sweet drinks anymore. Yeah I know what ya sayin' Rog. Same for me. Paeroa is owned by Coca Cola now but Te Aroha nearby still has a free soda spring where you can fill you own bottles. Oh wow, I never knew that about the soda spring. Theres something about Te Aroha, I've always loved the place. The big hill behind the town, the Mineral baths, a good honest little Kiwi town. I love sparkling water, in fact that's what I always order when I eat out. At home we use tap and Britta filter. At school / work we refill water bottles. I agree it is madness - called "marketing"! 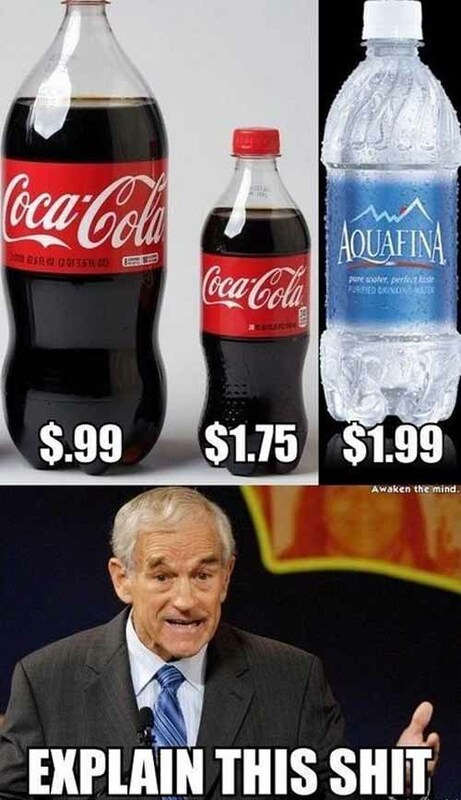 They are claiming that the water is premium therefore the price difference. The soda spring at Te Aroha is behind the pavilion near the pool Roggie. Literally a pipe in the ground. The mountain is often referred to as the "Metal Mountain" because of the ores there, notably lead, mercury and even gold. Nestle apparently convinced the government of California some time ago to allow them to take 80million gallons of water per year from the municipal water supplies, now with the uber drought these past few years, they are bottling what should be low cost to nearly free drinking water and selling it back to the locals at the insane costs that bottled tap water brings in for them. Meanwhile California is so bad off they have maybe a year before the water is all gone, and Nestle still has taken 50million gallons to bottle up and sell during all of this. The Sacramento protest took place just days after Jay Famiglietti, the senior water scientist at the NASA Jet Propulsion Laboratory/Caltech and a professor of Earth system science at UC Irvine, revealed in an op-ed in the LA Times on March 12 that California has only one year of water supply left in its reservoirs.